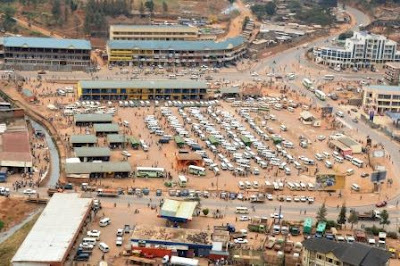 The Nyabugogo Bus Station Is Located In the Nyabugogo area of Kigali, The Bus and Taxi station also acts as a trading post, facilitating commerce between folks on the move. 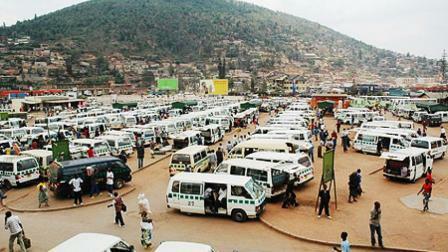 The Nyabugogo Bus Station is about 2km north of the city centre. This Bus Station in Rwanda is well organized with each bus company having a separate office and, in general, destinations and fares listed on the wall of each office. Buses usually depart from the office where you made booking of your Tickets. The Town located Bus sTerminal Nyabugogo is located on the western outskirts of Kigali. From This station, You can travel to different destinations within and across the Rwandese boarder, Nyabugogo Bus Station is particularly popular with foreigners heading to Kibuye, Gisenyi, Ruhengeri, Kampala and many other places in Rwanda and neighboring countires like Uganda, Tanzania, Kenya and DRC. Most of the bus companies in the station actually have ticket offices where you can easily make a Booking of your ticket for the chosen trip. This Station Is Located on Latitude/Longitude:-1.941261/30.044770. 1.12 km North-West Kimisagara Kigali City Rwanda. When You are at the station, Expect it to be quite chaotic and busy as buses to places all over the country and across Rwandese boarder leave from here. When You are at the station, You will find helpful person who will direct you to the bus or ticket office you are after. Bear in Mind That these people will expect a small amount of money for such assistance though most doesn't demand it. 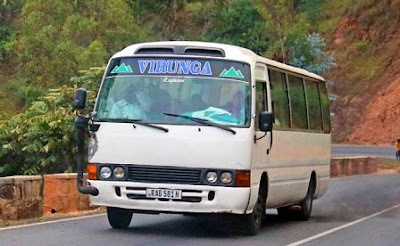 There are yellow striped white minibuses on the south side are for greater Kigali and those with green stripes (western side) are for around Rwanda. 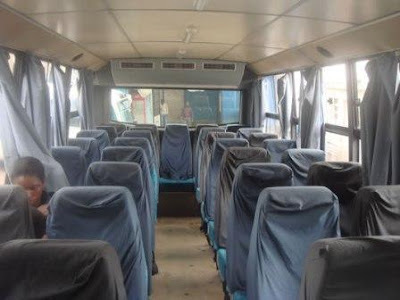 For these Minibuses, All fares are paid while you have seated on the bus and conductor collecting those Fares while you are on the go. If you need to get into town hop onto a velo-taxi (going rate RWf 300/km and it is about 4) or yellow striped four wheel car. The police station is the green shack on the SW corner, thats the only corner with two roads, and if you want to catch a coach to Entebbe or Kampala they leave every couple of hours. Buy your ticket and seat at the green 1 1/2 shed at the far end of the western boundary or just look for a two deep queue at least 20 persons long. Nyabugogo Bus Station is perfectly safe if somewhat mad. You will be offered knock off clothes, hot pizza, even carvings and many other foods and drinks. If you need the toilets then walk slightly uphill 300m on the Boulevard de Nyabugogo (eastwards) to the faded white fronted Hotel President. You Can Buy a coffee or beer to use the facilities. Rwanda is one among the East African countries which real known for it's fruity coffee, volcanic landscapes, and endangered mountain gorillas, should be on the bucket list of every adventurous traveller. 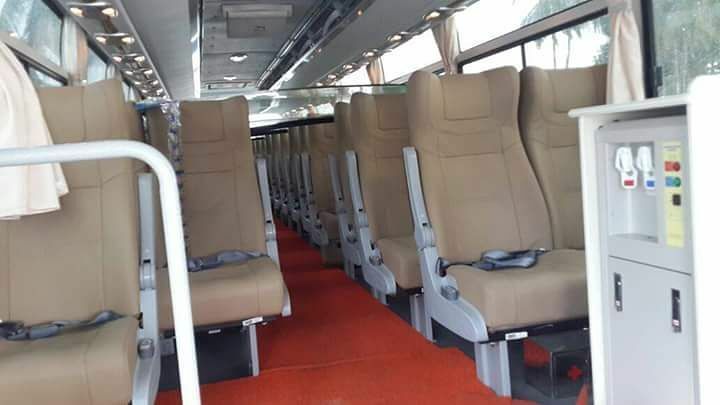 The country is proud itself for having a really reliable public and private transit system, making traversing the land of a thousand hills all the easier. About 90% of people in the Rwanda, travelling by bus is the easiest and affordable way to make long journeys, travel by air is more a luxury than a necessity for many and since there is no railway travel in Rwanda the best way to connect Rwanda to rest of East Africa is by road transportation. The country boast itself to have efficient and reliable public transport. Privately run buses cover the whole country and with scheduled departure times for those main buses, you won’t find yourself waiting for hours while the driver scouts for more passengers. For a well established bus companies, You can buy tickets in advance from a ticket office, which is usually the point of departure. 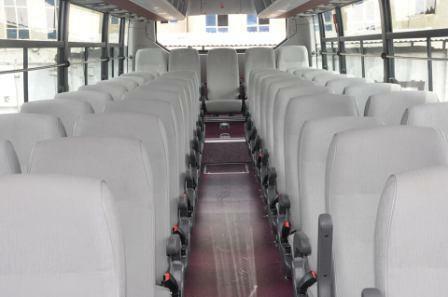 Apart from those main buses, You will find plenty of well maintained, modern minibuses serving all the main routes. 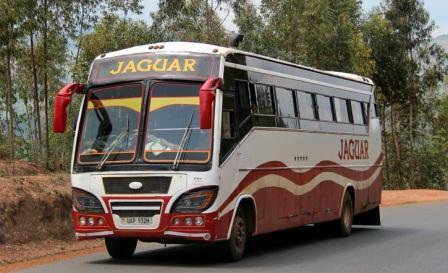 Head to the bus stand in any town between dawn and about 3pm and it is quite easy to find one heading to Kigali and nearby towns. Destinations are displayed in the front window and the fares are fixed for some routes but you can also make negotiations with the ticket seller/vendor or driver. Neither buses nor minibuses are supposed to charge extra for baggage. For a Local Buses, Bus stations are located in all of Rwanda’s major cities and towns, with buses driving both local and national routes. Local buses crisscross Kigali, Musanze, Gisenyi, Kibuye, Cyangugu, and Butare, making their way to each neighborhood throughout the day. To hail a local bus, find one of the ubiquitous bus stops around the city, A small stand with a bench and crowds of people. 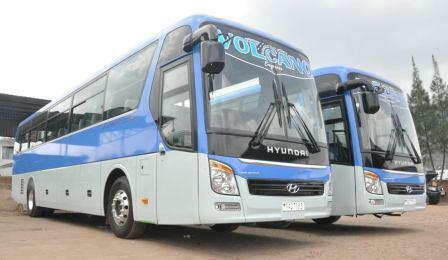 A local bus will cost between 200 and 400 Rwandan Francs. Most towns are compact enough to walk around, but otherwise a mototaxi is a good bet. They are generally fast but safe, and there’s nearly always a helmet for the passenger. This type of transport is only available in Kigali. 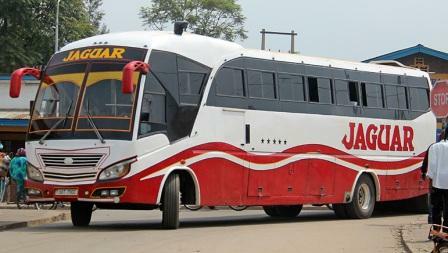 these buses (smaller and big ones) take you from the major bus stations in Kigali to the smaller spots. Cheap and sometimes very easy. The try to load the van as much as they can. Sometimes they pull you in but the ride mostly takes only about 5 minutes. They leave fast. Taxi bus can be found all over the country. They get you from city to city for a very low (fixed) price. Usually there's no negotiation over the prices. You might want to check with the other passengers what they are paying. Paying happens inside the bus once he/she is driving. Taxi buses are easy to recognize. This Express buses leave on marked hours and you need to buy tickets for them at the office of the bus company. There are a few bus companies all over the country. 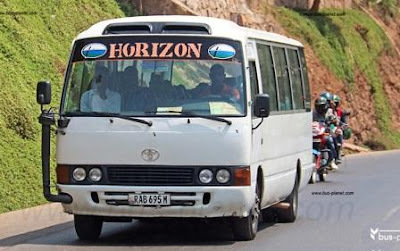 Horizon Express is one of the public transport companies licensed by the Rwanda Utilities Regulatory Agency (RURA), the country’s public utility regulator. The motive behind its creation was the high demand of public transport services that prevailed at that time, in relation to the public transport companies that were operating along the routes linking the Southern Province and Kigali City. 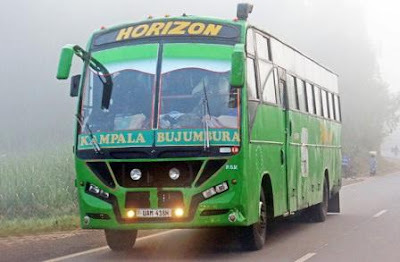 It commenced its operations on the 23rd of June 2006. There are 18 ticket sales and booking outlets as well as 6 branches in Kigali, Ruhango, Muhanga, Nyanza, Huye and Nyamagabe. 2. Courier services in collaboration with Horizontal Courier Company, Their sister company. Horizon Express Ltd in partnership with Horizontal Logistics Limited provide local courier service solutions to customers across Rwanda. With local courier service as well as nationwide courier and delivery services. The Horizon Express Ltd team of Courier Service agents is skilled and professional and ready to help you meet your deadlines with our speedy delivery service. In the framework of delivering efficient, reliable and secure public transport services to their esteemed clientele, Horizon Express Limited is equipped with an electronic ticketing system which facilitating in issuing tickets to passengers. The company is also endowed with a tracking system that helps its management to control the movement and the speed of its vehicles so as to reduce or minimize the risk of accidents and to ensure the peace of mind of our passengers and the operated routes. Virunga Express Ltd is a group of companies; its head office is based in the heart of Kigali at Rue du Lac RWERU. 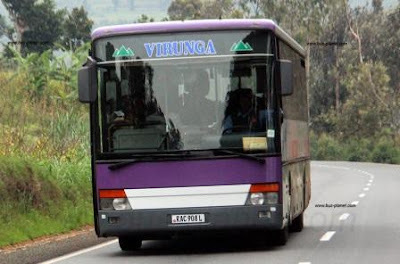 Virunga Express Ltd. started activities on August, 8th, 2001; created by Niyitegeka Bonaventure a young entrepreneur only 25 years old, inspired by a similar existing company "Volcano Express" when he was at National University of Rwanda. 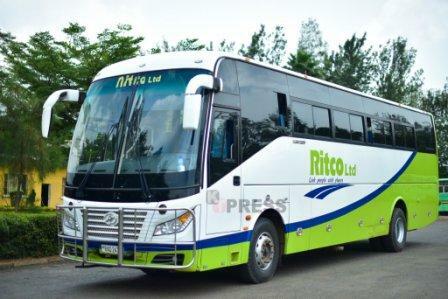 The company started with express transport business. 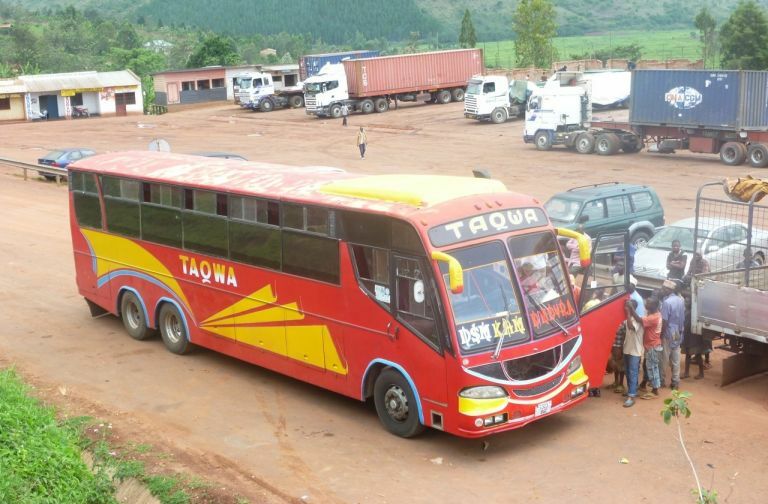 Now apart from the transport service, the group offers a wide range of services including Courier Express services and Money Transfer Service with 30 VMT Offices countrywide and 4 offices in the region (Goma, Kampala, Nairobi, and Bujumbura). Their vans are ones of the most comfortable in the whole country and when you travel with Virunga Express, you always reach your destination on time. To MusanzeTheir experienced staff offers a vast choice of Travel services designed to satisfy your highest standards. Time and speed are our driving forces when delivering your mails and parcels to their destinations. 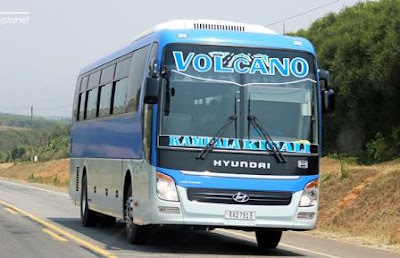 Volcano Express Is one of the most reliable and affordable courier and Public transport service providers in Rwanda. 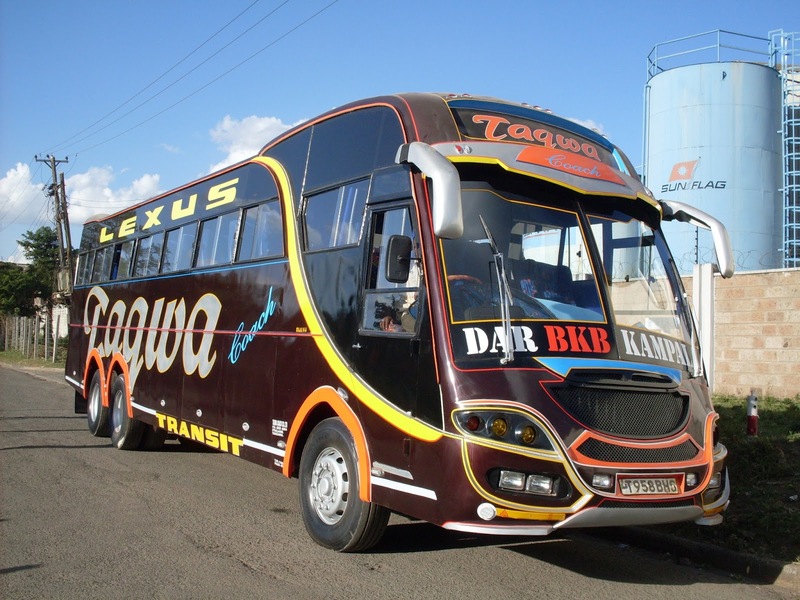 They have years of experience in the business of transport services, and aim to provide their clients with convenience, reliability and affordability through our premium Transport services. 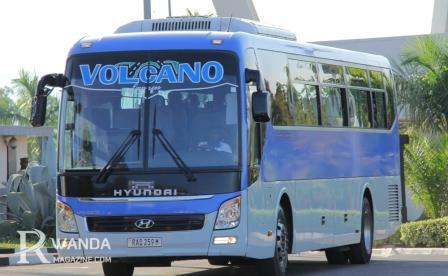 Volcano Express offer best Public Transport services, along with other ancillary services, solutions to their clients, which we design as per their requirements and business ecosystem to help cut their cost, arrive at time. It is a same day service available 10hrs a day, 365 days a year, including bank holidays; depending on availability, on any location in our area servies. When you delivering with Volcano Express – you’re working with specialists in international courier delivery services! With our wide range of express parcel and package services. Team of cargo experts are always available to help you with any queries you might have. We would study your requirements and provide you with a quote that would not only suit your budget, but would also save you considerable amount of money in the long term. And, we guarantee that. 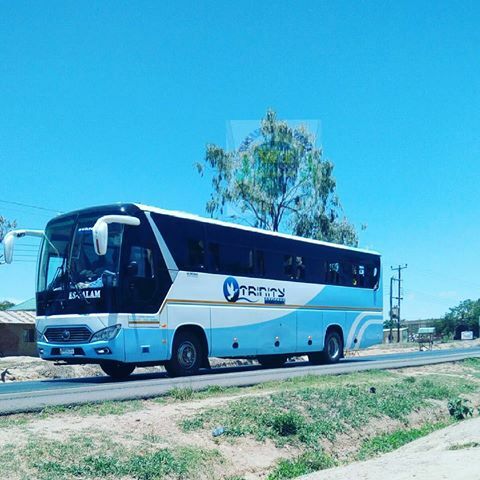 Trinity Express Limited, a Kigali based bus company launched Kigali - Dar es Salaam route just a few months ago, They are operating in this route and they have a good reputation thought it is the only company in this route. Trinity express has in recent years become one of the largest bus operators between Kigali and Kampala and is looking to expand its market in Bujumbura and Goma also. The route by road runs along what is known as the Central Transport Corridor and will be crossing into Tanzania at the just opened one stop common border point at Rusumo, where a few months ago a new bridge was opened too. 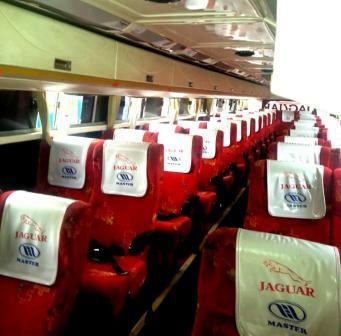 Coming to Tanzania, Trinity Express invested Chinese Yutong buses with semi luxury class. Their buses has on board entertainment for better travel. 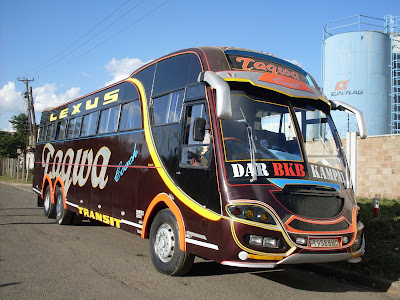 Taqwa, they are the large painted Tanzanian buses of bright colours and decorated between kitsch and exoticism, through is African right through. 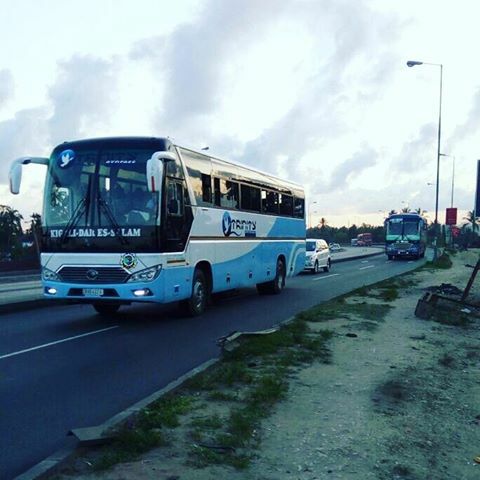 Take them in Bujumbura go Dar- are - Saalam (36h of about crossing) or go from junctions Tanzania in Southern Africa. For information, do not hesitate to contact Saïdi, with the first number listed. 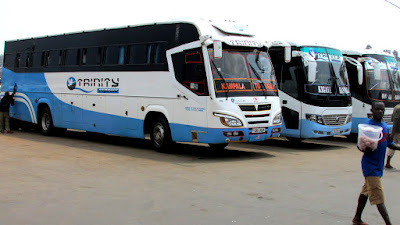 Departures are "at Siyoni" main square, starting from the big international buses, between the industrial district and Buyenzi (avenue of the OAU). 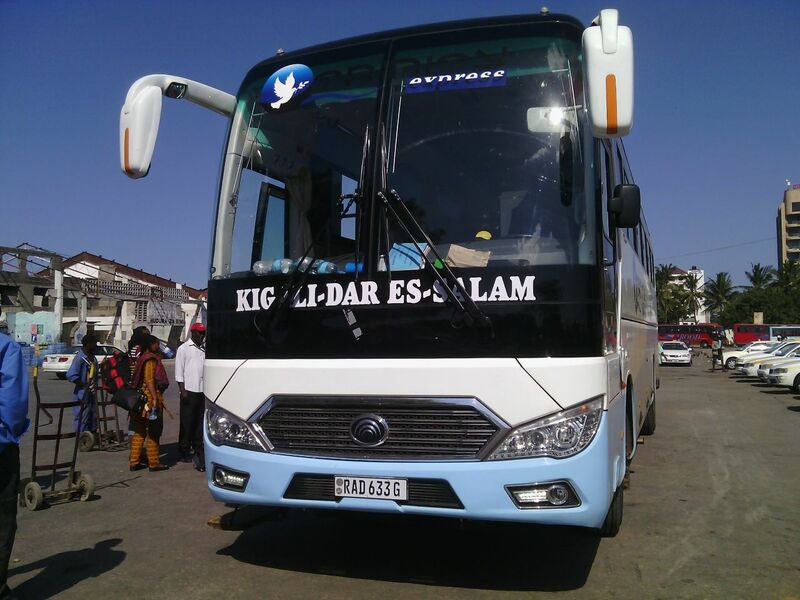 The company which has been operating the Kigali - Dar es Salaam route via the Rusumo border post recently opened a number of other long routes to Lusaka in Zambia, Lilongwe in Malawi, and Lubumbashi in DRC via Gisenyi. 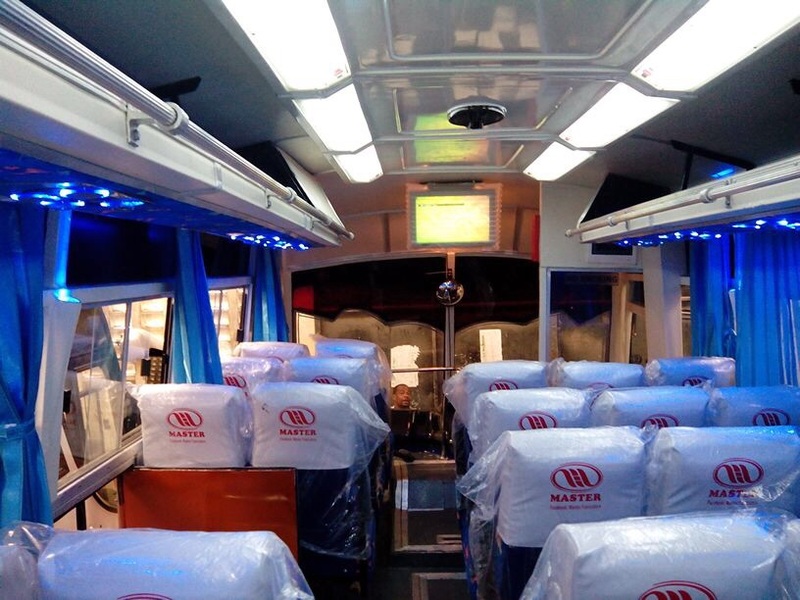 It has existed for over 25 years operating a big fleet of luxury buses within East, Central and Southern Africa countries. 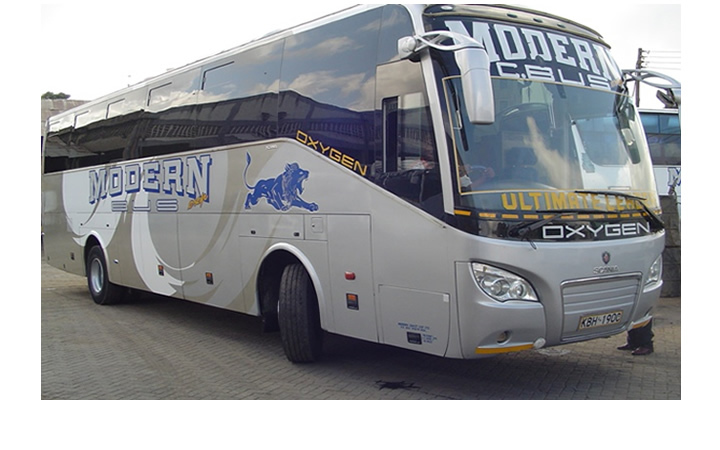 Modern Coast Express Ltd is a luxury coach company incorporated on 26th May 2007 operating within Kenya, Uganda, Tanzania and Rwanda. Modern Coast Express is one of the most recognised luxury bus companies operating in the region. The company has over 50 branches in Kenya ,5 branches in Uganda , 6 branches in Tanzania and one branch in Rwanda. 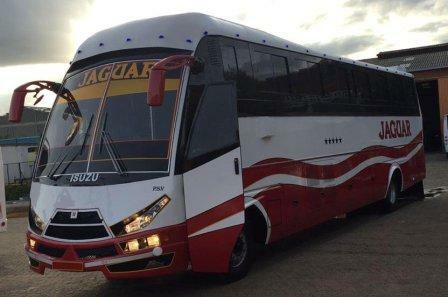 Clearly one of the most successful long distance, luxury coach companies, Modern Coast has been operating since 2007 in Kenya, Uganda and Tanzania. Intense marketing of their oxygen (O2) brand has been one of the contributing factors to their success. 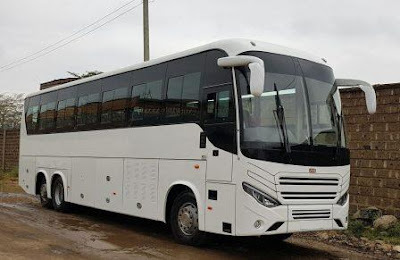 They travel to Nairobi, Mombasa, Tanga, Kampala, Kisumu, Malindi, Dar, Migori, Busia and Malaba and connecting towns among other routes. The Oxygen bus that ply’s the Nairobi-Mombasa route and vice versa is known for its deluxe amenities like VIP seats with legroom, Aircon, WI-FI, Reclining seats, Plasma Screens, charging sockets, beverages, hostesses on board and much more. Select your travel details from the getting started section of the homepage and search for available buses. 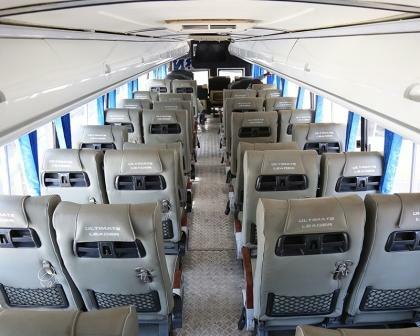 The website will display a list of Modern Coast buses that travel that route on that day, and the prices, reporting time and departure time. Select the bus that fits your travel plans (departure and arrival time and cost/ price), you are then taken to a page with available seats (if any) on that bus. 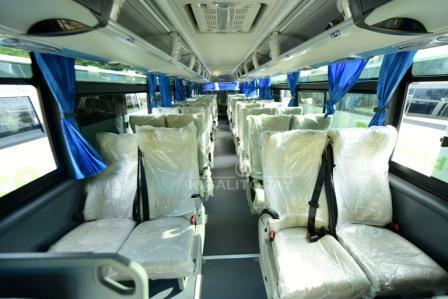 Select your preferred (available) seat(s) on the bus chart, then click Submit. Enter your personal details: phone number, name, e-mail, passport or National ID number and Nationality. Select your preferred payment option (either Safaricom Mpesa, Visa or Mastercard). Pay the bus fare within 15 minutes after receiving the SMS. 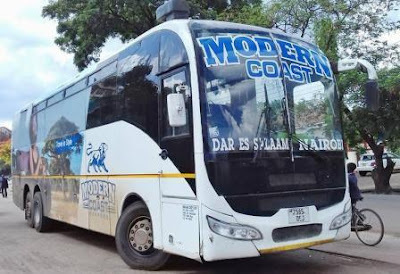 After payment, you will receive an SMS from Mpesa to confirm the transaction, and another SMS from Modern Coast Bus to confirm your Modern Coast online booking. This confirmation SMS will also have your bus ticket number.